Our printable menu cards are the perfect way to dress up your table! 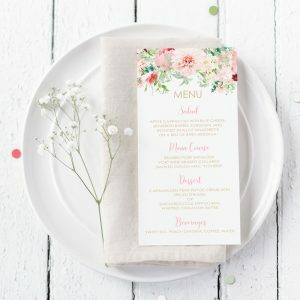 Great for wedding receptions, bridal showers, baby showers, holidays and more these menu cards feature editable text so that you can customize to your needs. Simple to edit, simple to print!